We are in Manchester! 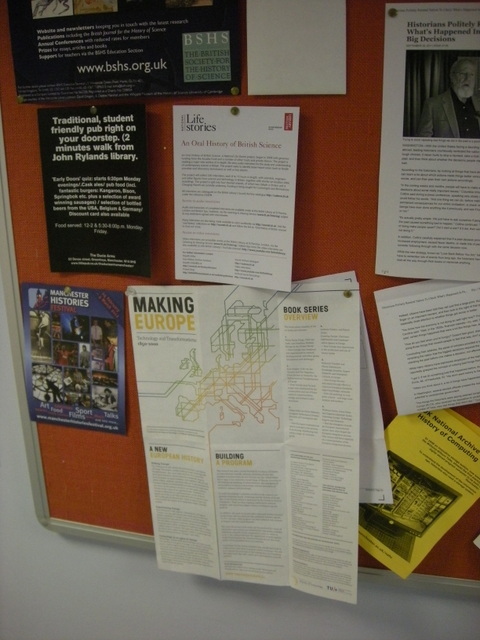 The first version of Making Europe flyer proudly hangs on the message board at Centre for the History of Science, Technology and Medicine, The University of Manchester. It caught my eye on my way to canteen. I don’t need to tell you how proud I was! Have you seen our flyer in your institution? Do you want to get one?